This entry was posted in Books, Reviews and tagged Adam One, books, Crakers, literature, Maddaddam, MaddAddam trilogy, Margaret Atwood, Oryx and Crake, Ren, review, The Year of the Flood, Toby by christinasr. Bookmark the permalink. 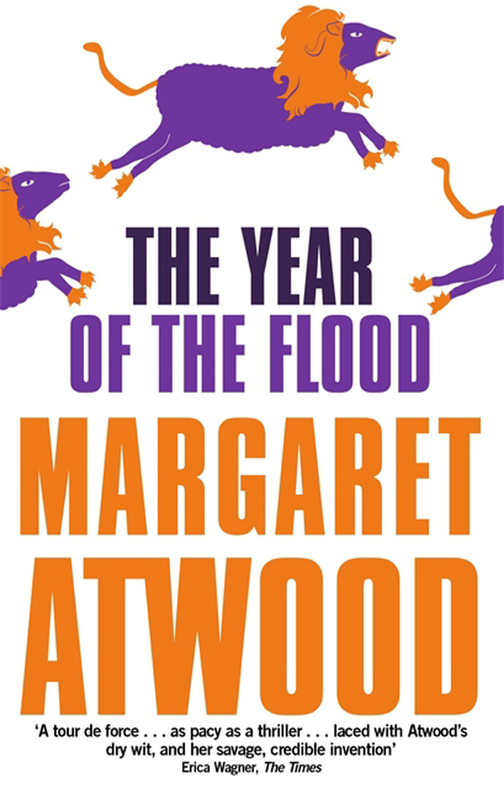 Can’t wait to hear what you think of Maddaddam, once I get through March Madness I fully intend to get stuck in to it! I am almost done with MaddAddam and the only things I dislike is, that it isn’t any longer and that it’s the last book in the trilogy. This is really some impressive books! It is. I’m running out of ways to say that I love these books! I’m rereading this one now. I can’t wait to get to MaddAddam! So you haven’t read MaddAddam yet? I’m very curious about what you think about it when you get to it. No, I haven’t. I bought it when it came out, but decided I wanted to reread the other two first to refresh my memory about the details. Good decision, I think. It’s definitely worth it to read these three close together. Oh, I hope you’ll love it as much as I do! I have the first book and the last book I believe but I am missing the second book. I don’t think I realized they were all part of a trilogy until after I got them. You have to get The Year of the Flood as well. It fits perfectly with Oryx & Crake.